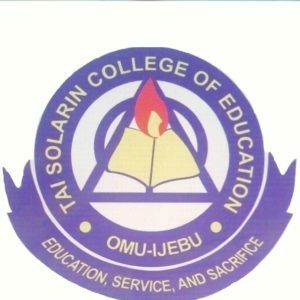 The Tai Solarin College of Education, TASCE National Certificate Examination [NCE] Post-UTME Admission Form, Eligibility, Admission Requirements, Application Guidelines, Screening Dates, Time and Venues for 2018/2019 Academic Session. This is to inform the general public, particularly prospective candidates that the sales of admission forms into the 3 Years Full-Time NCE Programmes of the Tai Solarin College of Education, TASCE for the 2018/2019 academic session has commenced. The following subjects are acceptable as entry requirements for Social Studies: Government, Economics, History, Commerce and Islamic Studies. Also credit in Government is acceptable in lieu of History for any course in History combination.